Information and navigation support from volunteer groups. Lost and found office, camera for storing things, an item for registering children. 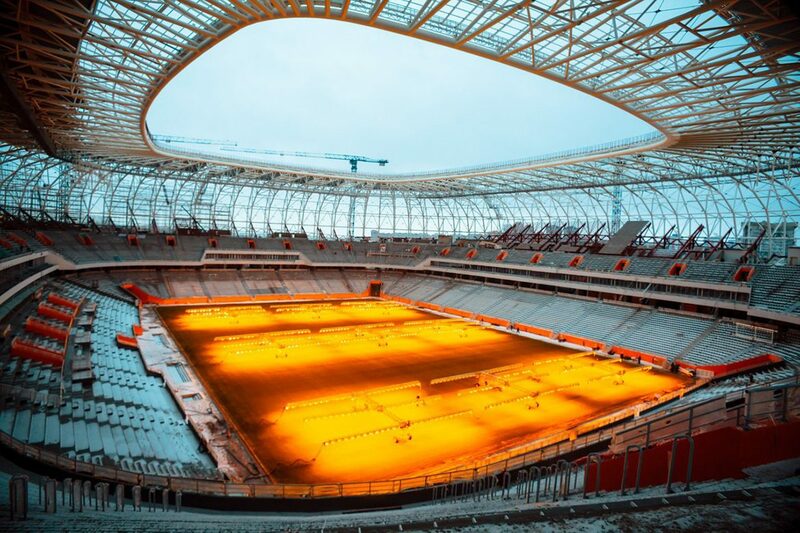 The stadium fully complies with all established FIFA safety standards. There is a quality fire fighting system, alarm. In the arena there are metal detectors, with the help of which they identify at the entrance prohibited items, indicators for the detection of dangerous substances. In addition, the arena will have more than 30 posts to guard around the clock. The process of construction of the building dates back to 2010. 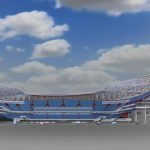 By the time it was intended to rent the arena by 2012, its capacity was supposed to be 28,000 people. 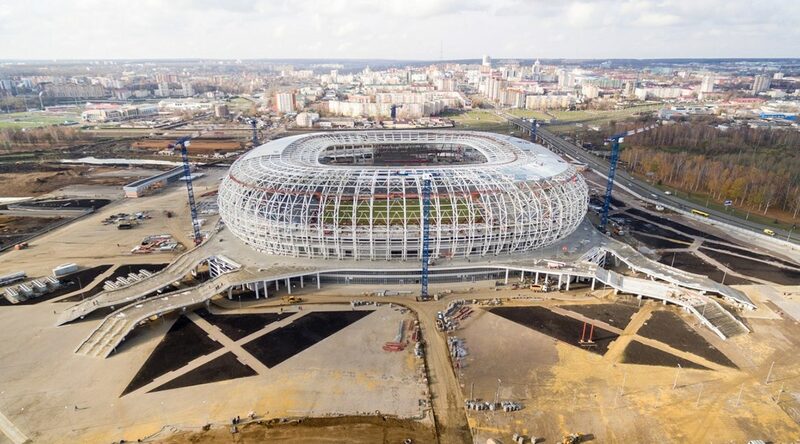 It was in 2010 that they completely cleared the territory for the future site of football tournaments. 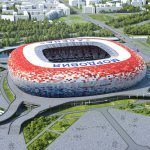 After it became known about Russia’s acceptance of the 2018 World Cup, the stadium project was revised due to the fact that according to FIFA norms the capacity should not be less than 45,000. Accordingly, the planned 28,000 is very small. 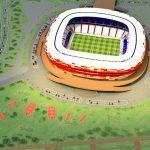 Thus, the opening of the Mordovia Arena was postponed until 2017. 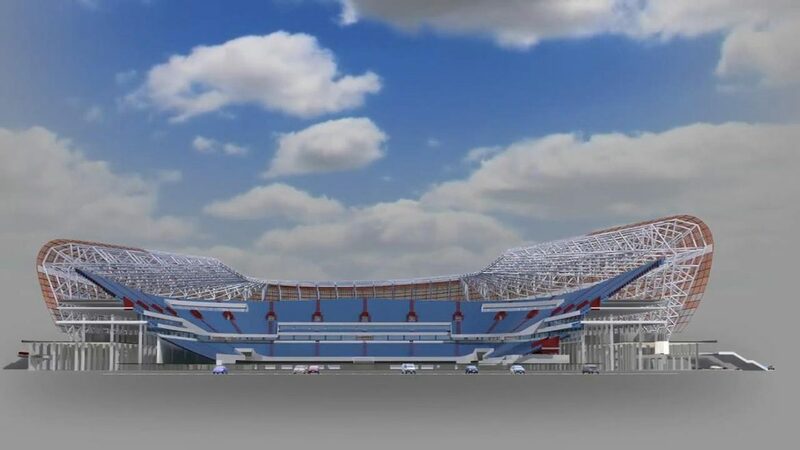 All this time the fans were waiting impatiently when the new stadium will please them. 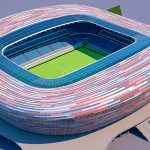 The budget of the planned stadium was 16.3 billion rubles. 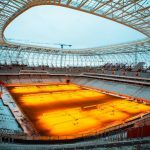 In mid-2017 all installation work at the stadium was over and the lawn was sown. After that, he was cut. 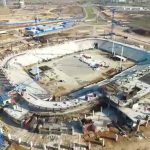 Having finished all the work on the arena, the improvement of the surrounding territories began. 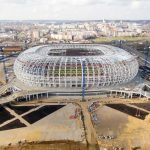 The construction of the Mordovia Arena was an important event for a small town. At the same time, many tasks were solved, such as: remote areas of the city were connected to the center, a beautiful park was created, infrastructure began to develop, the embankment of the r. Inkar, the city began to visit tourists. 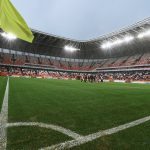 Residents of Saransk very worried about whether the city will be able to take such an important horizontal bar as the World Cup. After all, by the time he was absolutely not ready and uncomfortable. 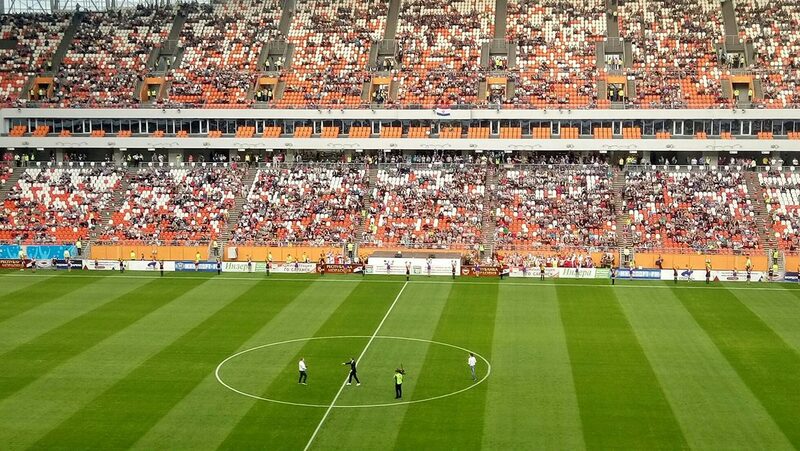 Also, the big problem was the absence of the hotel seats to accommodate fans. 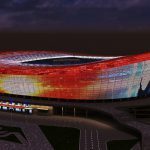 The question is the construction of hotels and even possible bases for visitors to the city to come and stay to support their own team. 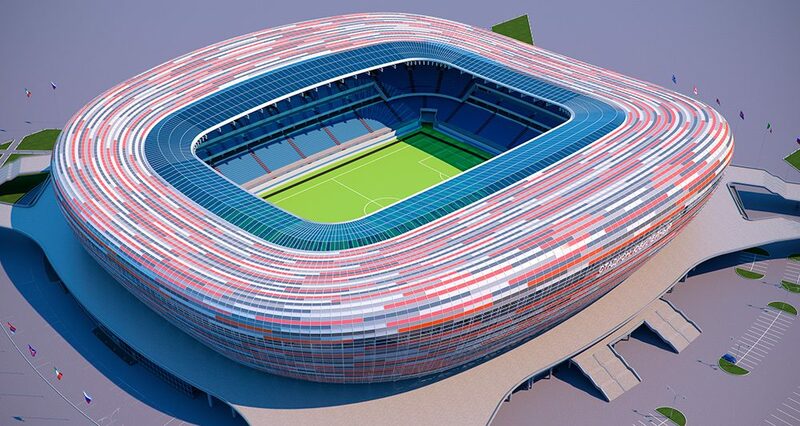 “Mordovia Arena”, like all the stadiums where the matches of the championship will be held, is a transformer. 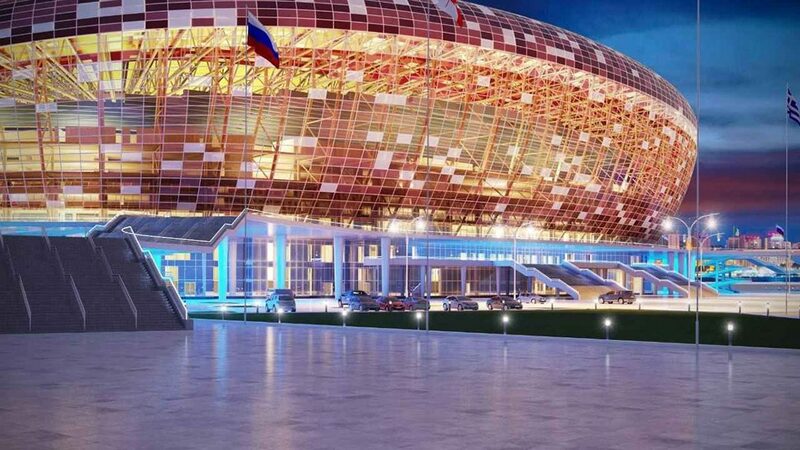 The construction of the stadium is the largest in the history of the city of Saransk. 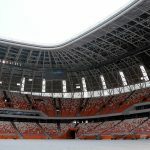 The presence of a 20-meter console makes the stadium a unique building. 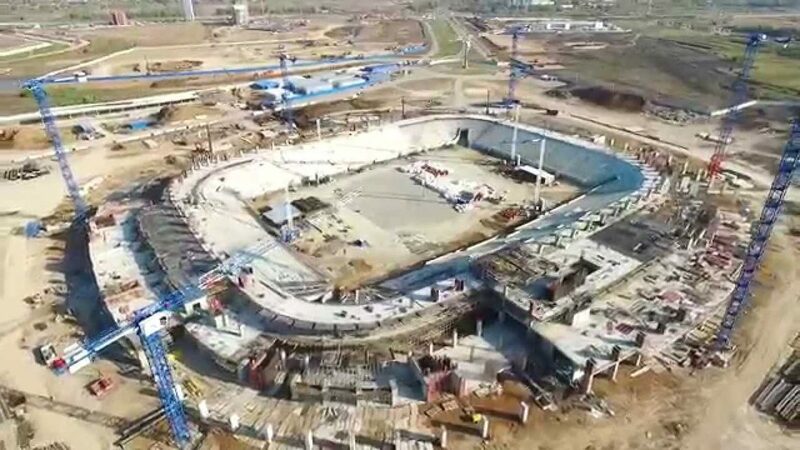 The stadium area is 17 football fields. The volume of reinforced concrete structures can be compared with the railroad train, which includes 1710 cars. Strengthening of the football lawn is strengthened by a modern method. It lies in the fact that after the sowing of the lawn, with the help of a special innovative technique was carried out the lawn mowing. This allowed not only to give it an excellent appearance, but also to extend the life of the lawn and its durability. 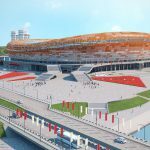 During the construction of the Mordovia Arena, 1342 specialists were involved, as well as 108 heavy equipment units. After the completion of the construction work, the structure was slightly raised with the help of special jacks. 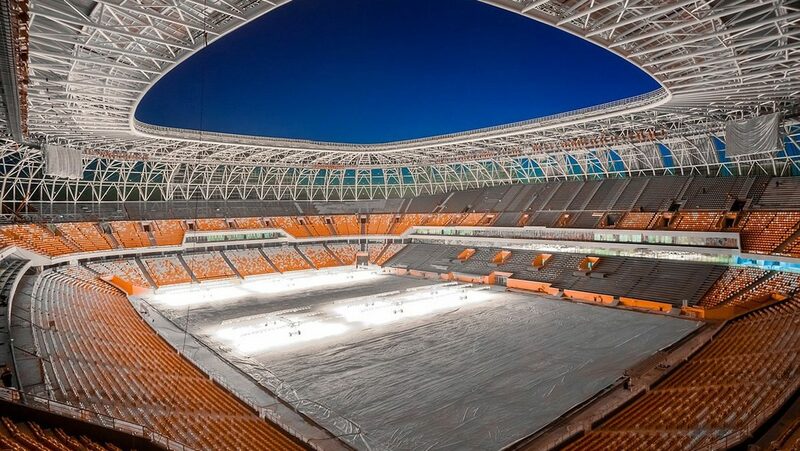 The local stadium “Zhilischnik” will be divided into a tent city for tourists who will be able to stay there before the World Cup matches. 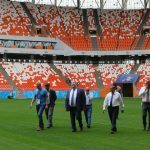 The passed test match between Mordovia and Zenit-Izhevsk confirmed the excellent condition of the stadium and its readiness for the World Cup. This match ended in a draw without goals. 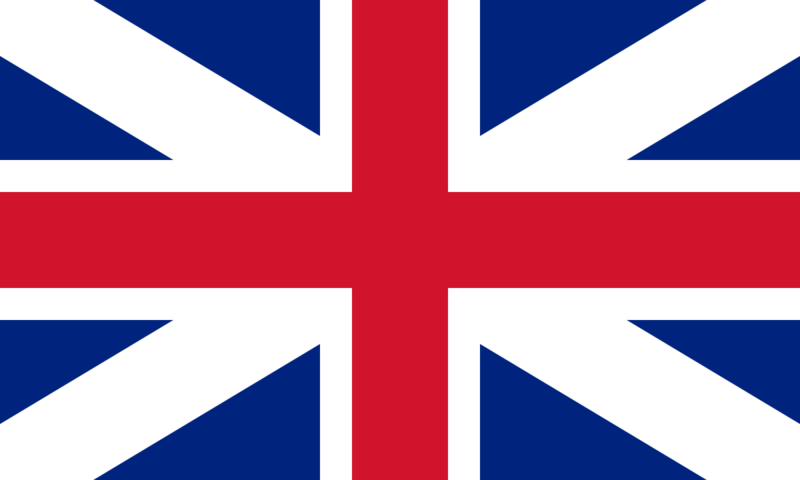 On it came 13 000 inhabitants. 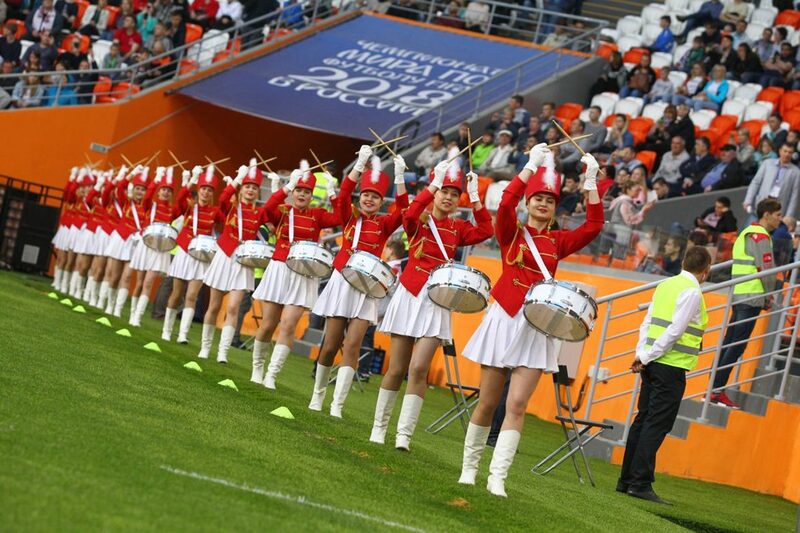 Guests of the city of Saransk are encouraged to visit the sights of the city. At first glance, the structures look old, however, in fact, they are no more than 30 years old. You can also visit the Museum for those who love the predictions of the future. 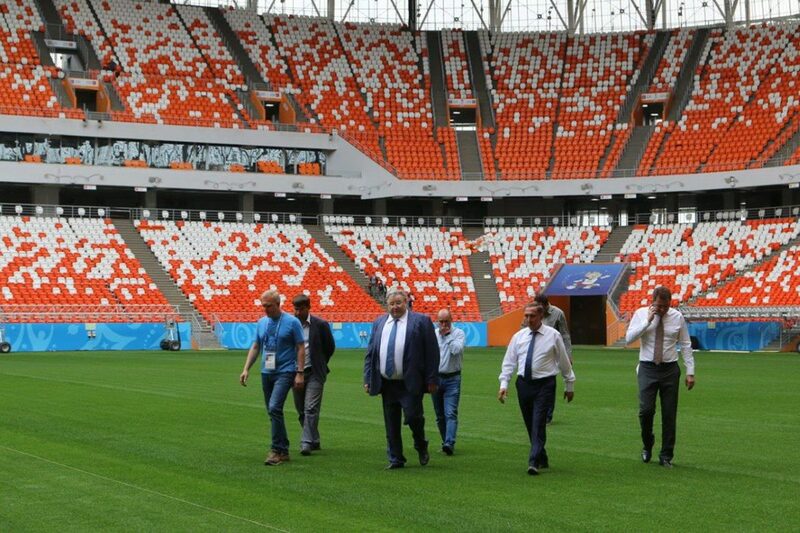 Local residents who could visit the stadium, are delighted. After all, such a small city waited so long for such a structure. 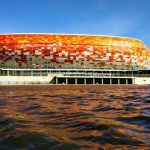 No fan of football, and even more so, on the eve of mundialya, will not refuse to go to the stadium. 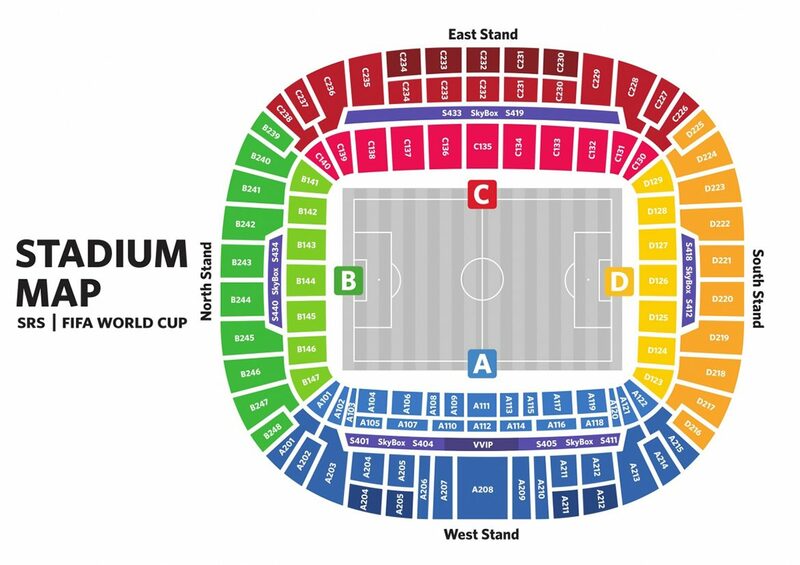 During the World Cup 2018 there will be only 5 passes to the stadium, which will be divided into zones. 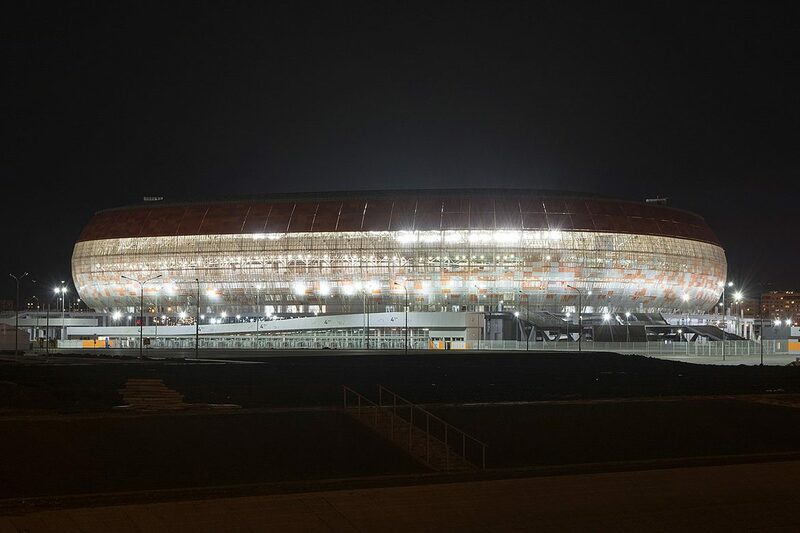 In order not to be late for the upcoming match it is recommended to arrive in advance to the stadium “Mordovia Arena”. 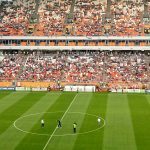 There is a well thought out pass system. Therefore, you can absolutely not worry about a possible excitement at the entrance to the arena. 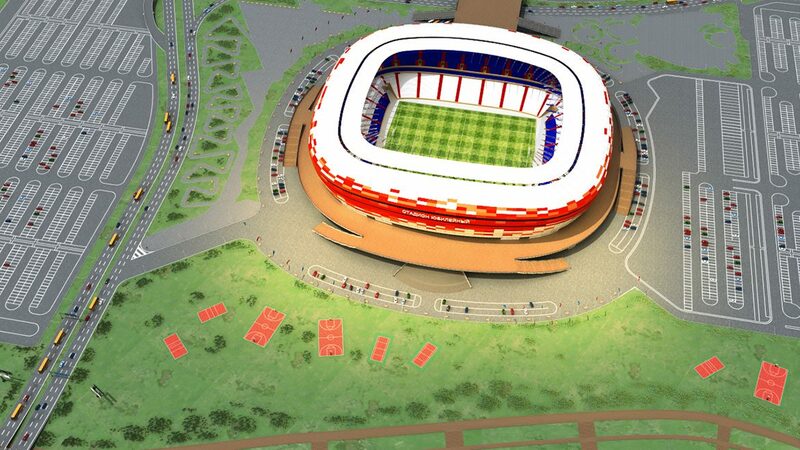 The ticket will indicate the information with the date of the match and the teams, the zone to enter. For special guests there will be a separate zone – lodges. 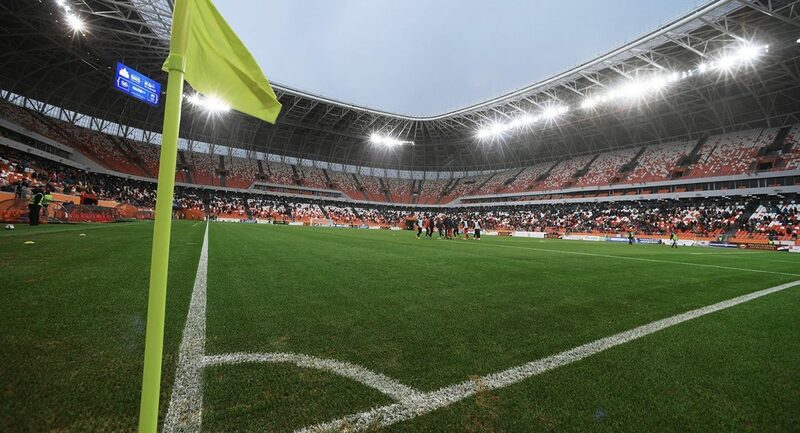 On the territory of the whole stadium there are signs to make it easier for visitors to navigate. You can buy tickets on the Internet or at the ticket offices. 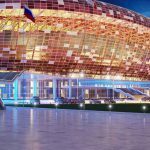 For every stadium that hosts the 2018 World Cup, there is a list of prohibited items and substances that cannot be taken to the stadium. Violating the established prohibitions, you can spoil your football holiday. In the worst cases – incur a corresponding type of liability under the law. Sound devices (this includes vuvuzels). 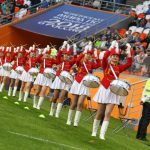 Various sound objects that can distract players from the match. 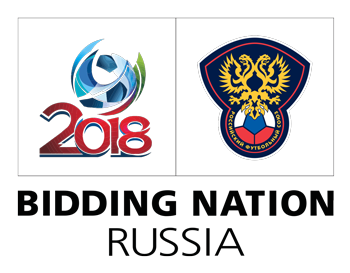 Nevertheless, you are able to take the attributes of your favorite team, as well as items that will confirm the symbolism of a football team, flags with you. Location: the city of Saransk, near the Insar river, near the Volgogradskaya Street. 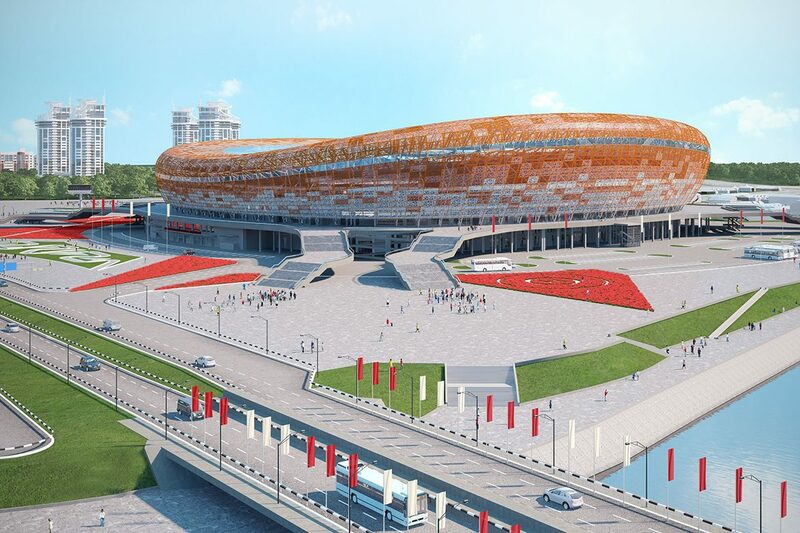 The stadium is located within walking distance to the city center. 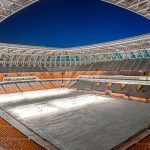 Number of seats in the stands of 44 149 people, and after the World Cup, will be reduced to 30,000. Number of places for people with disabilities: 250. Opening hours: Monday-Friday from 7.00 to 22.00. During the matches the mode of the arena will last for 4 hours. By bus. 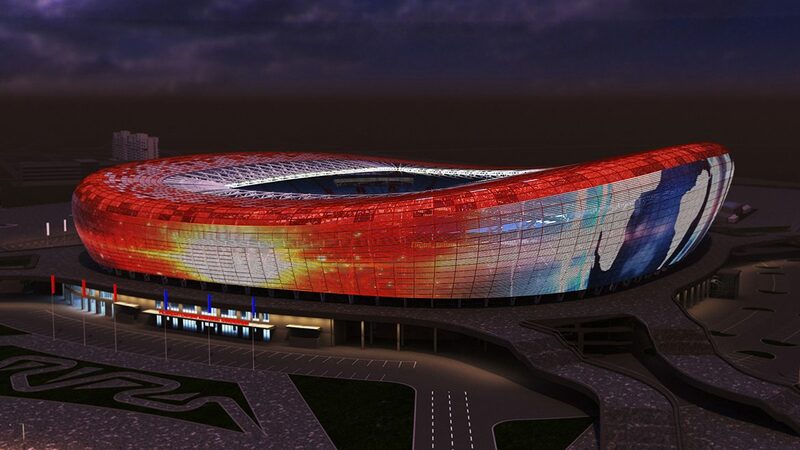 There are routes 16, 18, 37, 5, 7, 15, 31e to the stadium. All these routes will be fashionable from the airport, bus station, city center. By bus shuttles. Those who wish can use this form of transport absolutely free of charge. I will travel routes S1-S9. By personal transport. 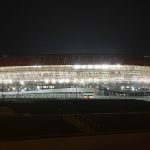 Get to the stadium “Mordovia Arena” on personal transport will be quite problematic. 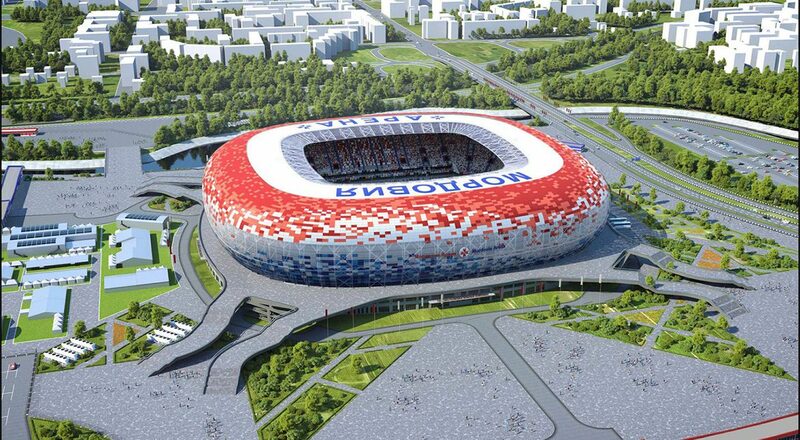 As well as near all stadiums FM-2018, the movement will overlap. It is advisable to determine in advance the place where you can leave your car. 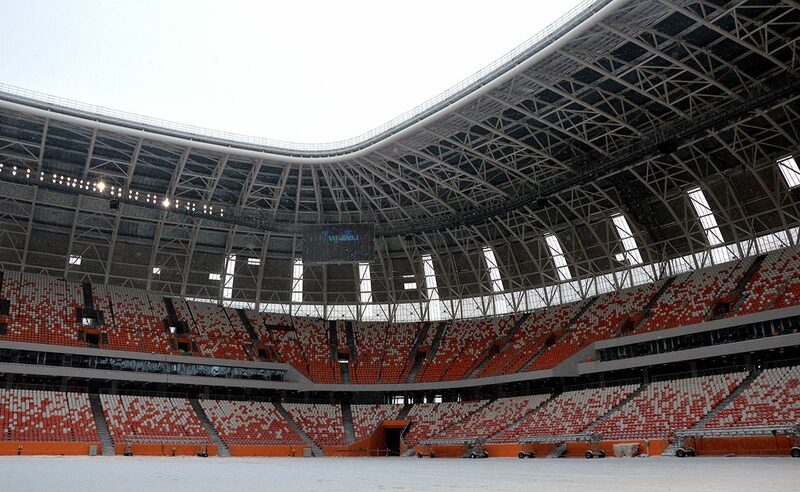 The stadium in Saransk is equipped with comfortable seats. Visitors will feel comfortable at any event at any time of the year. 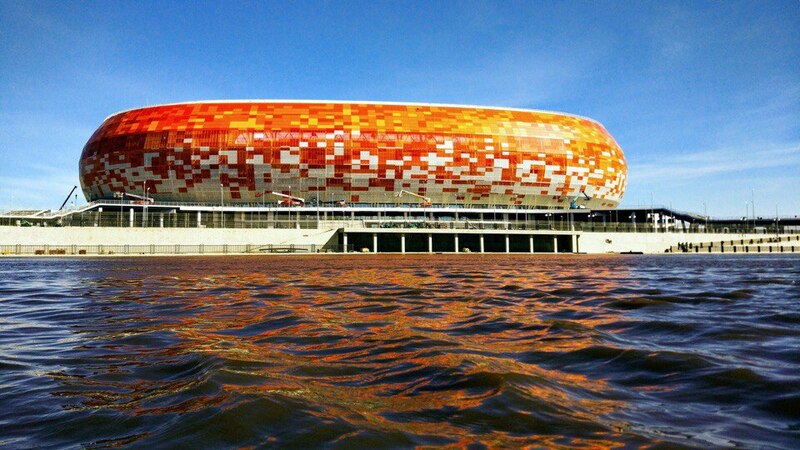 It is recommended that you arrive before the match starts in a few hours to calmly get to the stadium. 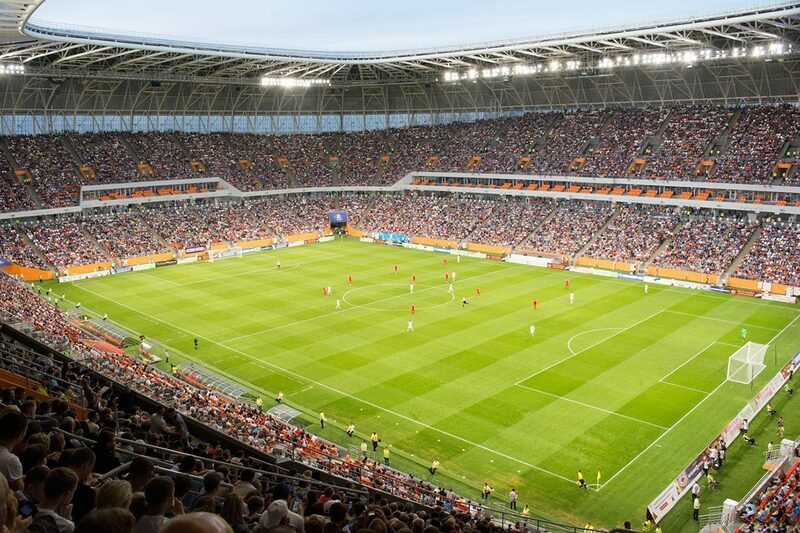 Every connoisseur of the football feast should visit the “Mordovia Arena”.